Product prices and availability are accurate as of 2019-04-23 18:45:06 EDT and are subject to change. Any price and availability information displayed on http://www.amazon.com/ at the time of purchase will apply to the purchase of this product. 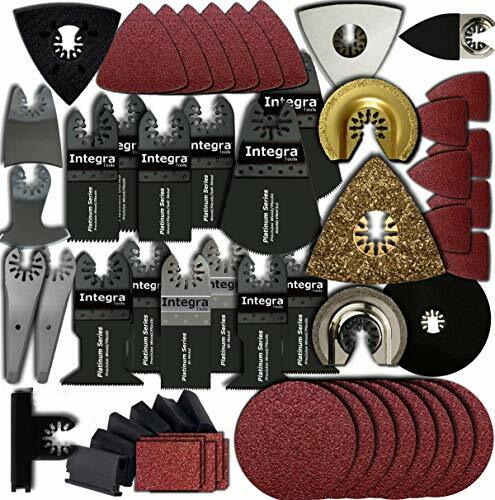 Kit of 139 Mixed Accessories which include, Saw Blades , Grout Removers , Scraper Blades , Sanding Pads and Papers. 2 Pack - 1-3/4-Inch Wood/Soft-Metal saw blades. 2 Pack - 1-3/4-Inch Precision Japan Tooth saw blades. 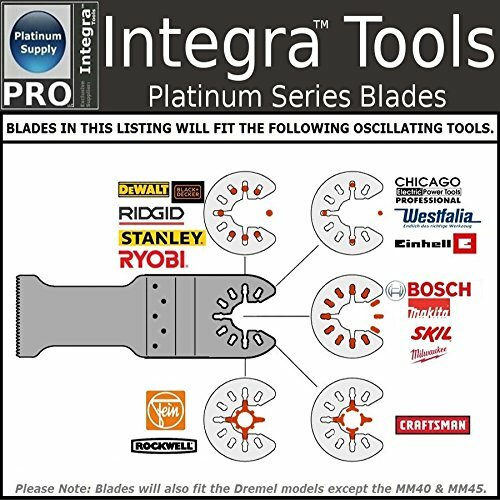 2 Pack - 1-3/8-Inch Bi-Metal saw blades. 2 Pack - 1-3/8-Inch Wood/Soft-Metal saw blades. 2 Pack - 1-3/8-Inch Precision Japan Tooth saw blades. 2 Pack - 2-5/8-Inch semi-circular round profile saw blades. 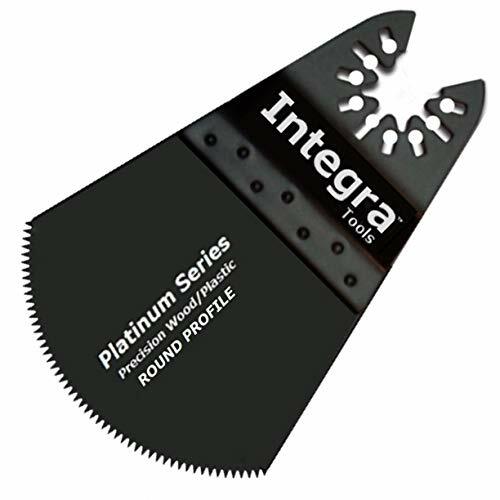 1 Pack - Delta Carbide grout blade. 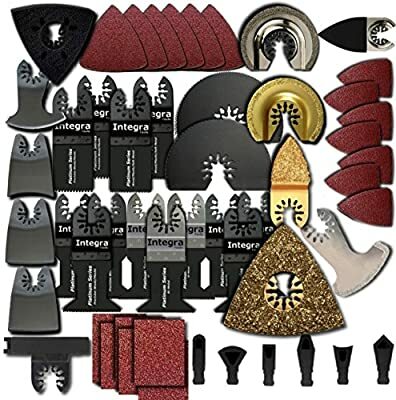 1 Pack - Semi-Circular Diamond grout blade. 1 Pack - Semi-Circular Carbide grout blade. 1 Pack - Delta Felt Polishing pad. 2 Pack - Tapered Sealant Cutter Caulk scraper. 1 Pack - Concave Scraper Blade. 1 Pack - V-Cut Sling Scraper Blade. 1 Pack - 3-1/8" Triangle Hook & Loop Sanding Pad. 36 Pack - 3-1/8" sandpaper. 1 Pack - Finger Triangle Hook & Loop Sanding Pad. 32 Pack - Finger sandpaper. 1 Pack - 4-1/2" Round Hook & Loop Sanding Pad. 32 Pack - 4-1/2" Round Hook & Loop Sandpaper. 16 Piece Contour Sander kit includes:(1) metal casting harness mount, (6) sanding profiles, (9) pieces of sandpaper. Fitment note: Not compatible Dremel or Bosch Quick Release tools. Fitment note: Adapter required for Rockwell & Worx (except Hyperlock). Fitment note: Adapter required for Fein Supercut. Fitment Note: Not compatible with Fein Starlock.